#StarSigns Rapper AKA's made a glorious return to music playlists this week with a brand new single filled with more shade than an umbrella. The track, a collaboration with fellow rapper Tumi "Stogie T" Molekane entitled Star Signs, dropped in the early hours of Tuesday morning and was soon topping the trends list for its explosive lyrics. Both rapper's took the opportunity to address their rivals and concerns about the industry. Local rappers who want to be American. Rappers continue to defend the trend of putting on an American twang by claiming that it is just the way they speak and pronounce things. But AKA is clearly not impressed and in his song called them out. "Mega you old school now, but how you still so relevant in an era where n**gas sound so American. No pride in their own heritage, whole vibe so negative, ain't nobody going to remember them." He also took shots at local musicians who "copied" him by getting gold mouthpieces. 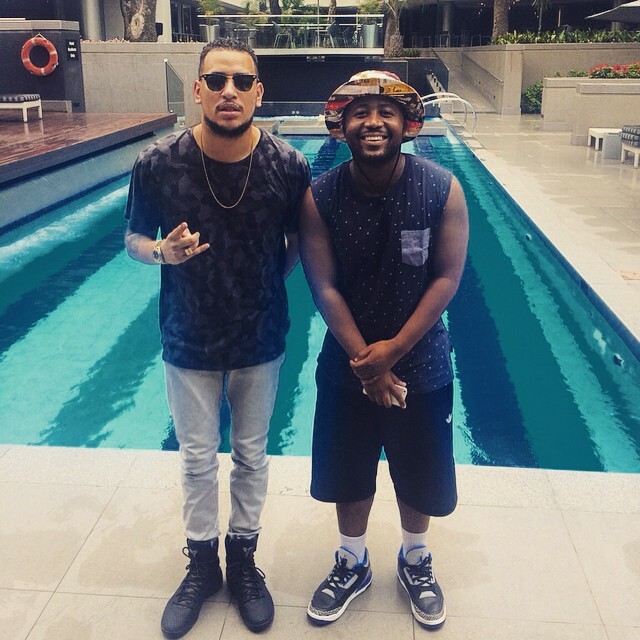 AKA's music rivalry with Cassper has hogged headlines for years but it was Stogie T who reignited the beef. On his verse, the rapper claimed that he "can't get Mufasa'd by Antelope", in reference to Cassper hailing himself as Mufasa. Cassper and Stogie T were recently caught in a war of words after Stogie claimed to have helped Cassper and others launch their careers. Cassper responded on the SA Hip-Hop Awards stage by declaring: "Tumi ain't done sh*t for me, bro". Cassper's bestie Riky Rick was also vocal in his criticism of Stogie T in the aftermath of the SA Hip-Hop Awards and put his former label boss on blast for not believing in him during his come up. Stogie waited until Star Signs to drag Riky, referencing Riky's love for Gucci in the line criticising the rapper's talent. "How ironic, so much Gucci but no material in music," Tumi rapped.